Discussion in 'General ME/CFS News' started by Andy, Oct 31, 2017. Putting this up early so currently not much detail yet. Don't forget Early Bird pricing is available until 3rd March 2018. IIMEC13 will be the thirteenth conference and regularly attracts researchers, clinicians, doctors, nurses, occupational therapists, healthcare professionals and patient groups twenty countries from around the world. Webdog, Nellie, Inara and 16 others like this. Every year I hope to go to this but nearer the time it becomes clear I'm not well enough to attempt it. Here's hoping 2018 will be different. Always a lot of very interesting stuff to come out of the conference. ukxmrv, Joh, MEMarge and 7 others like this. I wonder if OMF will do another symposium next year. We are pleased to announce that Professor Hyöty has accepted. A research group at the University of Tampere led by Professor Hyöty has long pioneered the development of a vaccine that could prevent Type 1 Diabetes. Professor Hyöty has been leading several large scale international projects relating to research into diabetes. This research has been able to identify the enteroviruses belonging to the group B coxsackieviruses that are related to diabetes. A prototype vaccine has been developed to prevent these viruses. This may have implications for ME - at least it is of interest as a sub-group of ME patients may have become ill due to enteroviruses. andypants, Solstice, Skycloud and 5 others like this. Webdog, Nellie, Inara and 8 others like this. Nellie, Inara, Joh and 7 others like this. Nellie, MEMarge, Andy and 3 others like this. Amw66, Nellie, Inara and 5 others like this. That is so lovely that Anne will be remembered. Joh, MErmaid, Awol and 2 others like this. Lindberg, Joh, Skycloud and 7 others like this. I made an offline donation today of the conference ticket price to help sponsor these events as, I've never been able to attend in person (only found out about IiME Research online after I was housebound): https://www.justgiving.com/fundraising/fundraising-4me (this link is also in the Science for ME Fundraising Forum). inox, Snowdrop, MEMarge and 7 others like this. Webdog, BurnA, Nellie and 11 others like this. Webdog, NelliePledge, BurnA and 10 others like this. inox, BurnA, Inara and 6 others like this. NelliePledge, MEMarge, BurnA and 2 others like this. "Invest in ME Research is pleased to welcome Dr Peter Holger Johnsen from the University Hospital of North Norway, Harstad, Norway to participate in the IIMEC13 conference. 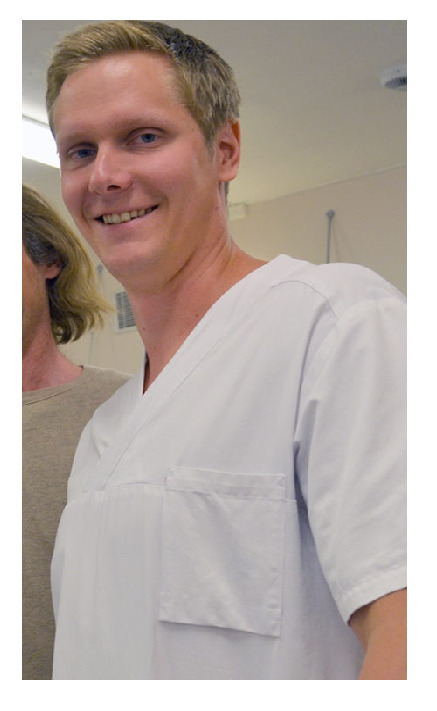 Last year the team at Harstad was awarded funding for a double blinded controlled randomised trial with 78 ME patients and investigating the use of faecal transplants for ME. Dr Johnsen will also be participating in the BRMEC8 - the 8th Biomedical Research into ME colloquium." Webdog, Joh, Sly Saint and 4 others like this. Joh, MEMarge, Indigophoton and 3 others like this. Probably time i got a ticket.... as I'm fortunate to be well enough to go, and have postponed a holiday so that I am around. Snowdrop, BurnA, Joh and 4 others like this. Joh, Indigophoton, MEMarge and 3 others like this. Joh, Indigophoton, Awol and 1 other person like this.